For today's daily deal, we want to introduce you to the Mamaroneck Beach and Yacht Club, an icon of the Long Island Sound. The members-only club is located on the landmark Osborne estate, whose buildings have been beautifully restored giving members the chance to ogle 19th-century architecture, that is of course lavishly updated in the decades since. This includes nine Har-Tru tennis courts with lessons, tournaments and leagues available, spacious meadows offer space for sports and relaxation, a marina with docks offering launch service at the mouth of the harbor, and a private beach on Long Island Sound with a fleet of kayaks, and swimming pools. Then there’s fine dining in the historic Clubhouse, overlooking the water, and casual fare at the outdoor Pavilion Café. At dusk you can end the day at one of Mamaroneck’s many special events, from clambakes and wine tastings. All of this should run you an $840 after obtaining a membership, but today you can get it for only $500! Create lasting summer memories with your family with this quick weekend retreat, located just 20 miles from Manhattan. The daily deal includes access for one family to Mamaroneck Beach and Yacht Club during a weekend of your choice during the 2013 season, lunch and snacks at the waterfront Pavilion Café, the use of a cabana, and full access to tennis, pools, beach, playground, grounds, Pavilion Café and Clubhouse dining. Finally, it is redeemable until Sunday, August 25th! 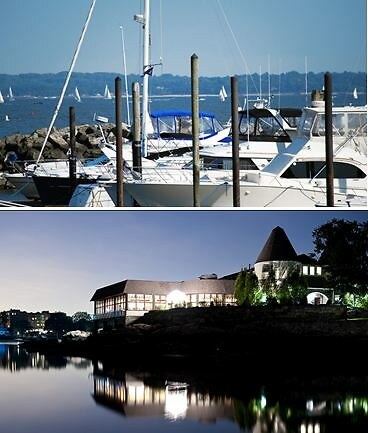 Click here to get your Mamaroneck Beach and Yacht Club Weekend Retreat!